Ali M.M. Mojdehiis a partner in the Cooley Bankruptcy & Restructuring practice group. He joined the Firm in 2012 and is resident in the San Diego office. Mr. Mojdehi advises debtors and creditors and provides counsel to boards on innovative and efficient strategic transactions and restructurings. Both in and out of court, Mojdehi has represented debtors-in-possession, trustees, creditors, statutory creditor and equityholder committees, bondholders, financial institutions, and third-party purchasers of distressed assets, across a wide array of industries including real estate, construction, hospitality, oil and gas, energy, telecommunications, retail, manufacturing, transportation, financial services and technology. Representation of Asyst Technologies, Inc., a manufacturer of hardware and software automation systems for semiconductor and flat-panel display manufacturing industries, and its subsidiaries with the simultaneous initiation of bankruptcy proceedings in Japan and the coordinated sale in both Japan and the US, resulting in a sale of the Japanese operation and all related subsidiaries and the US operations and its related subsidiaries for approximately $115 million and $5.5 million, respectively. Representation of UPC Polska, a public holding company, with multiple issues of bond debt aggregating approximately $1 billion that through its wholly owned subsidiary owned the largest cable company in Poland, in connection with its Chapter 11 case pending in the Southern District of New York. Represented a multimillion dollar public manufacturer of vulcanized fiber and industrial laminated plastic sheets, rods and tubes with multiple issues of bond debt in its Chapter 11 case pending in Delaware. Representation of the Official Collateralized Investors’ Committee of the Baptist Foundation of Arizona, Inc. and its affiliates (the “Debtors” or “BFA”). BFA and its 122 affiliates and subsidiaries filed Chapter 11 in the United States Bankruptcy Court for the District of Arizona. These cases involve in excess of $640 million of secured and unsecured indebtedness and over 7,000 creditors and investors. The demise of BFA and its affiliates is the largest single failure of a non-profit entity in the history of the United States, and is one of the largest and most complex bankruptcy proceedings ever to be commenced in the District of Arizona. The Committee represents the collective interests of approximately $400 million in indebtedness held by over 9,000 investors. Representation of the creditors’ committee of a secondary mortgage broker with a portfolio of 450 loans and a face value in excess of $200 million. Representation of numerous buyers in acquisitions out of bankruptcy. 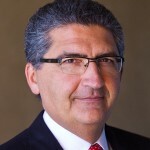 Prior to joining Cooley, Mr. Mojdehi was a partner at Baker and McKenzie LLP. During his tenure at that firm, he was the chair of the Financial Restructuring, Creditors’ Rights & Bankruptcy Practice Group in North America. Mr. Mojdehi earned his J.D. from the University of Tulsa in 1982 and received his B.A. from the College of William and Mary in 1978. He is admitted to practice in the states of California and Oklahoma.